A worker carries a basket of fish out of the cargo hold of a boat at San Pya Wholesale Fish Market in Yangon. I went back to the San Pya Wholesale Fish Market during my time in Yangon. It's hard to pick out a favorite thing to photograph in Yangon because it's such a dynamic, visual, place. But certainly the fish market is high up on the list. 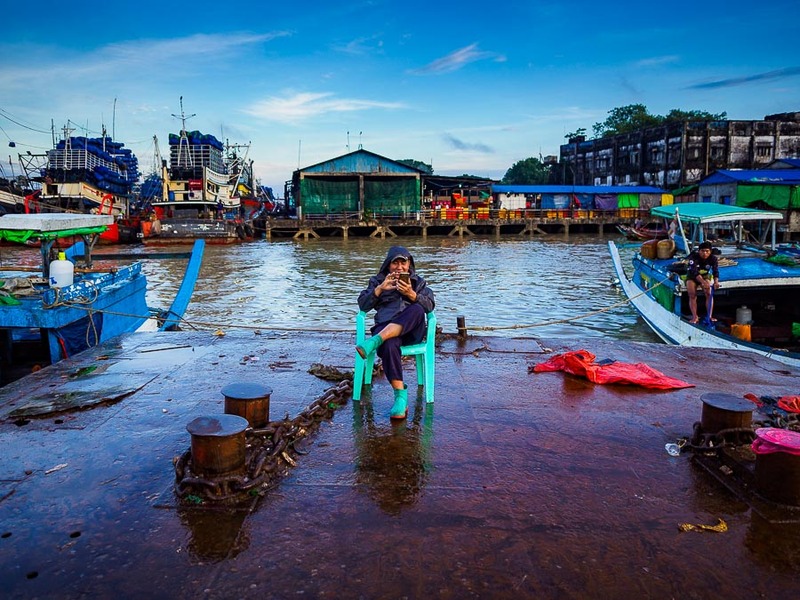 A buyer checks his smart phone on a pier in the fish market. It's a 24 hour market, but it's busiest early in the morning. From sunrise until about 8AM. After that the light becomes harsh and the heat stifling. I usually go very early, leaving my hotel before sunrise and working the market until 8:30 or so. If I go straight back to the hotel, I can still get some yogurt and coffee for breakfast. 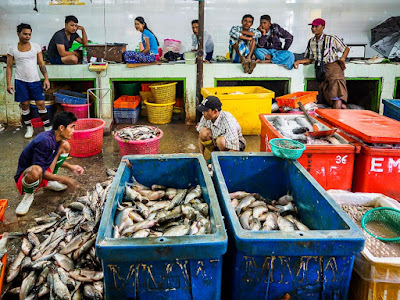 Workers sort fish in the market. The market is powered on the backs of its laborers. 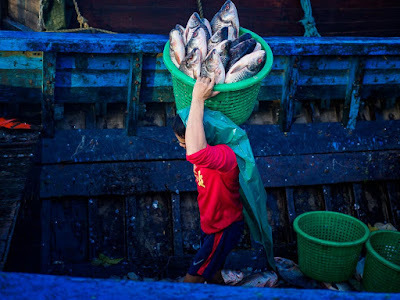 Fish and ice are hauled by hand. Boats are unloaded by hand. Food is pushed through the market by handcart. 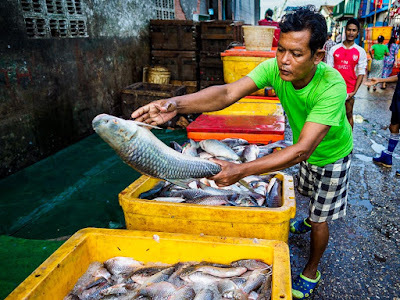 There are a lot of trucks in the market but they all take the fish from the wholesale market to other markets or the few grocery stores in Yangon. 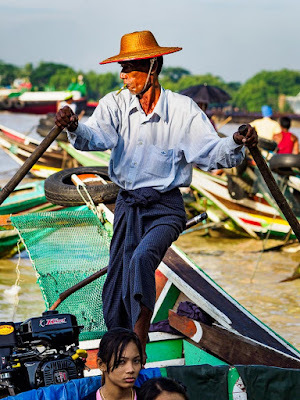 (The fish comes to the market in boats from up and down the Irrawaddy River. The fish market is not the only market in the neighborhood. There's a poultry market next and traditional Myanmar market selling everything from clothes to vegetables to pork and beef next door, there's a lot to see and explore. 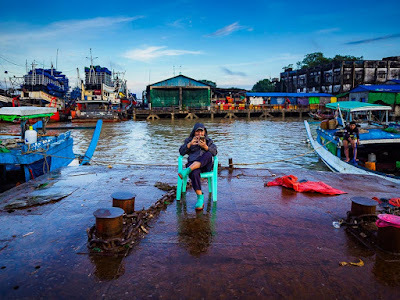 A rivertaxi operator waits for passengers at the pier next to the fish market. 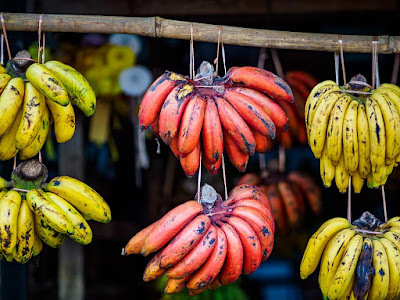 Bananas for sale in a market next to the fish market. If you're in Yangon, you should go to the San Pya Wholesale Fishmarket. It's a great glimpse into real everyday Yangon life. 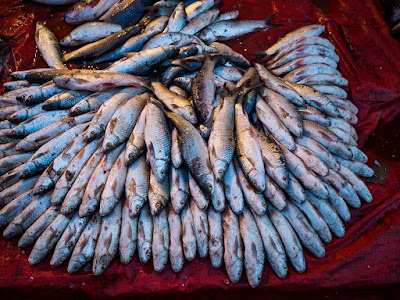 There are more photos from the fish market in my archive.